Over several years, Novelution has worked with multiple divisions of UNWomen on a number of projects. We have designed and implemented multiple web and data warehousing applications, used both internally by UNWomen staff, as well as by representatives from member states. Novelution are my 'go to guys' - the experts I call when I need both strategic guidance on how to efficiently solve technical challenges and I need custom software delivered on time and on budget. They are trusted professionals who quickly understand complex challenges and can think through elegant solutions to come up with 'best' approaches and deliverables. For over 10 years, Corsis has relied on Novelution for software development and IT auditing assignments that required sophisticated architecture analysis and design expertise. Our C-level clients in the management consulting, venture capital, healthcare and media industries expect the highest standards of analytical rigor and technical skills from consultants. It is rare to find talented programming minds who are also easy to work with and able to communicate complex technical concepts to business stakeholders. Evan and Yaniv are consistently able to charm demanding clients with their openness, integrity and ability to quickly understand and simplify complex software problems. 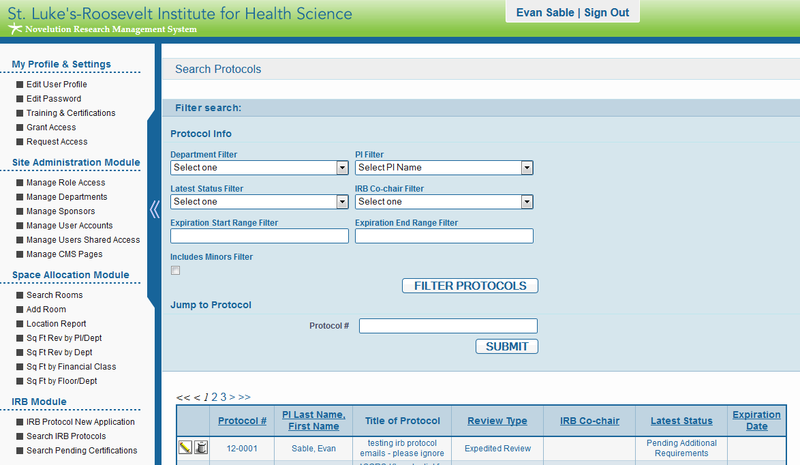 Novelution has implemented and supports a customized Research Management System for SLRIHS, including Pre-Award and Post-Award Grants Management, IRB, IACUC/ACF, and Facilities Modules. There has been extremely positive feedback from administrators and researchers. I love Novelution because it is truly custom built software that meets our specific needs. Yaniv and Evan are very responsive and amazingly talented at understanding our requests. They've created a user-friendly product that we are able to improve as regulations and wants change. 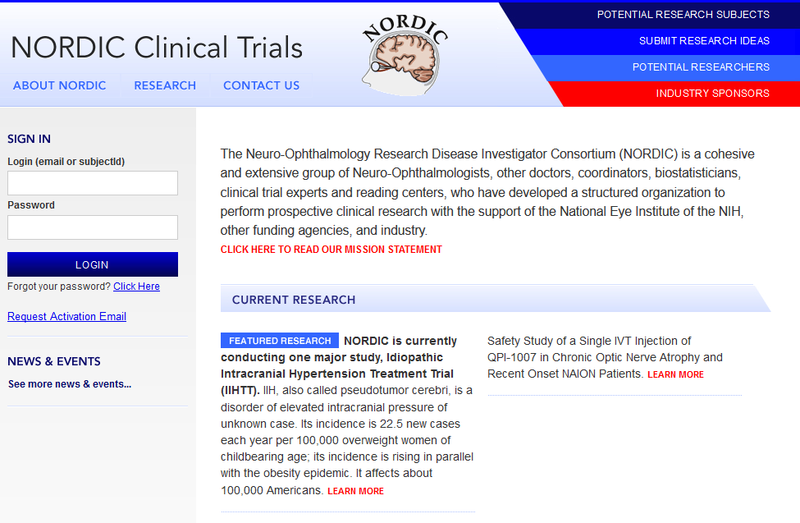 Novelution designed and implemented a custom web-based tool for NORDIC to track progress of subjects in its clinical trials, as well as manage administrative tasks for research teams including quarterly payments and reimbursements. Novelution implemented a custom CMS and dynamic front-end web application allowing Sanofi staff to manage the content of a large User Manual for a complex healthcare product. Application included sophisticated search functionality. Novelution has been a great asset, delivering quality software under a tight timetable to support our research infrastructure. It is a pleasure to work with smart and innovative developers who grasp the importance of user experience. Novelution's expertise lends itself well to sophisticated application development projects. Novelution's team has the technical experience and most importantly the creative intelligence to meet the high demands of today's most sophisticated applications. The Novelution Research Management System uses a pleasing web design to provide a user-friendly and efficient electronic system for managing the lifespan of an IRB protocol – a huge asset for any researcher. The online capabilities eliminate many time consuming manual steps expediting various processes. In addition, Novelution is dedicated to tailoring the system to fit the specific needs of our center, offering continued assistance should those needs change or evolve. They are highly-responsive, solution-driven, talented experts, and a genuine pleasure to work with. I hired two senior developers from Novelution for a long term Java content management project involving custom data migration, advanced templating and large-scale data modeling. The developers were very comfortable with the complex mix of technologies required to solve the problem, and were energetic and dedicated through every phase of the project. They also came with their own strong knowledge base to add to my organization, and, equally importantly, were a pleasure to work with. They are competent professionals with experience in the design and implementation of complex web-based systems. Throughout our project, they were always polite and responsive. The work was done on time and on a very tight schedule. It was a pleasure working with Novelution and we would recommend their services on similar projects.